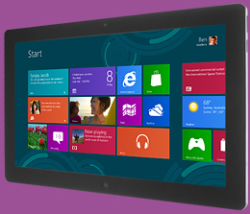 Microsoft has said work is under way to "unify" parts of its different Windows operating systems. Chief executive Satya Nadella stated last month: "We will streamline the next version of Windows from three operating systems into one single converged operating system for screens of all sizes". The three versions of Windows he was referring to are: "one for phone, one for tablets and PCs, [and] one for Xbox". However, this does not necessarily mean necessarily mean that Microsoft is about to release a single variant of its operating system. The differences between the platforms may well make this a non-starter. Rather, the intention is likely to be to bring the infrastructure offered by core libraries/ Application Programming Interfaces into line to simplify the maintenance of code between the different platforms. Mr Nadella said one target was for developers to be able to write a single app that would adapt its layout and controls to suit whether it was being used on a phone, tablet, PC or games console. Indeed steps have already been taken in this direction and is a path that would both be helpful to developers as well as the Windows app store which has struggled for traction against its competitors in the tablet and mobile space, as have the Windows 8.X and Windows Phone devices themselves, in part due to poor marketing from Microsoft. This move to "unify" the various Windows stores and developer platforms is contrary to the approach of Apple and Google, which are both pursuing separate strategies for app development on laptop/desktop computers and mobile devices - Apple with Mac OS X and iOS, Google with Chrome and Android. Who has the right strategy? We wait to see.